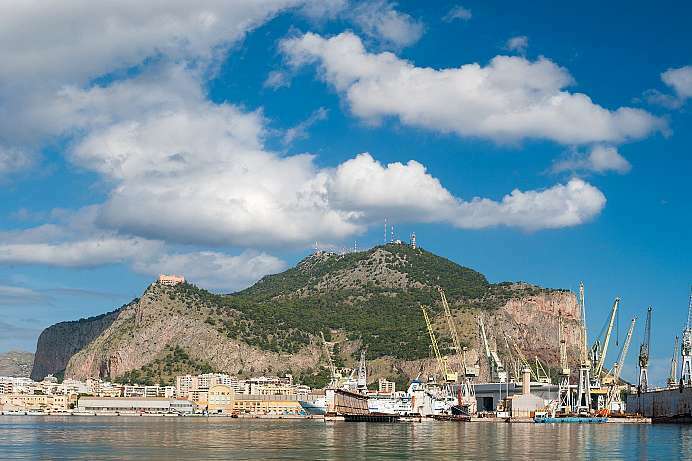 This capital city nestled on a scenic Mediterranean bay, whose name means “surrounded by rocky cliffs,” is a kaleidoscope of contrasts: Byzantine mosaics, Baroque churches and the graves of German emperors, symbols of the city's glorious past, clash with rundown slums and generic suburbs. This city of 700,000 inhabitants is a mesh of social milieus and cultures that has been woven together over many centuries. Founded by Phoenicians in the 7th century B.C., Palermo later came under the rule of the Carthaginians, who were conquered by the Romans in 254 A.D. Other rulers, including the Byzantines, the Normans, the Anjous from France and the Argonese from Spain, followed in quick succession before Sicily finally became a part of Italy in 1860. 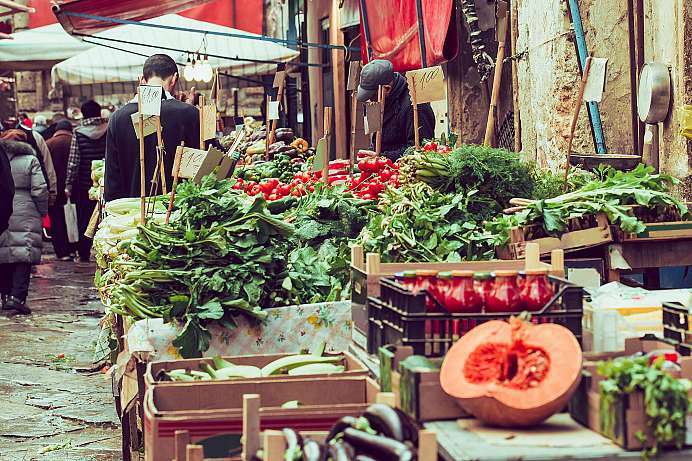 The city's momentous history is reflected in its heterogeneous present: although Palermo has the highest unemployment rate and lowest per capita income in Italy, it also features very colorful markets and a vibrant art scene. Anyone interested in Sicilian history, should pay a visit to the Archaeological Museum. 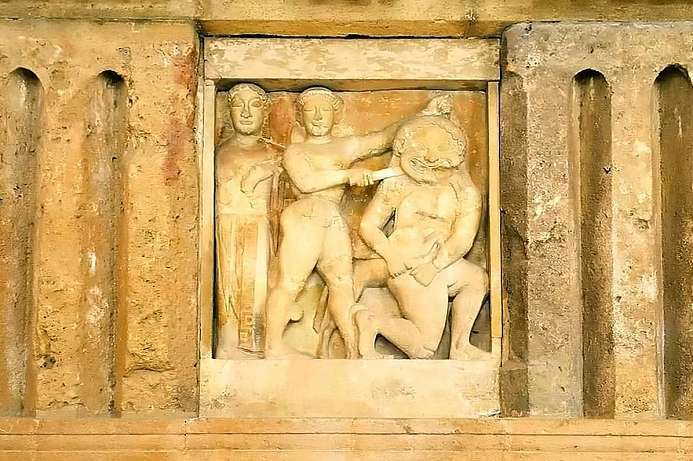 Especially the finds from Selinunte are interesting because the reliefs tell the Greek mythology: How Zeus robbed Europe, how Perseus beheaded the Medusa or Artemis, the goddess of hunting, taking a bath with wood nymphs. 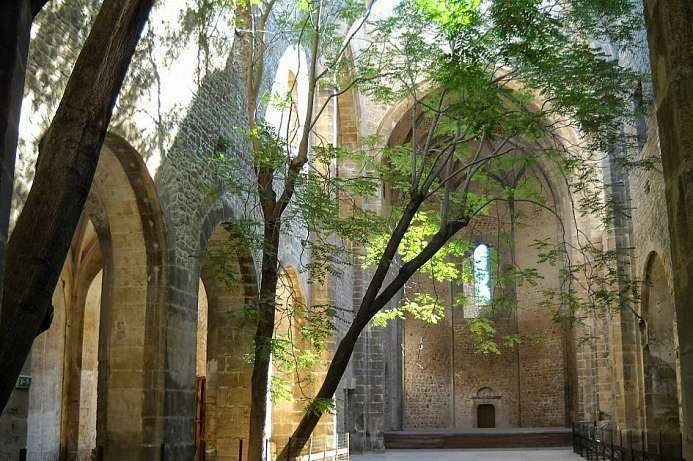 One of the most beautiful places in Palermo are the ruins of the only Gothic church La Spasimo. During the plague in 1624, the building was used as a military hospital and then as a granary, a house for the poor and a hospital. After the roof had collapsed, trees grew in the nave. Today the ruins are accessible again, hosting a jazz school and serving as a concert hall. 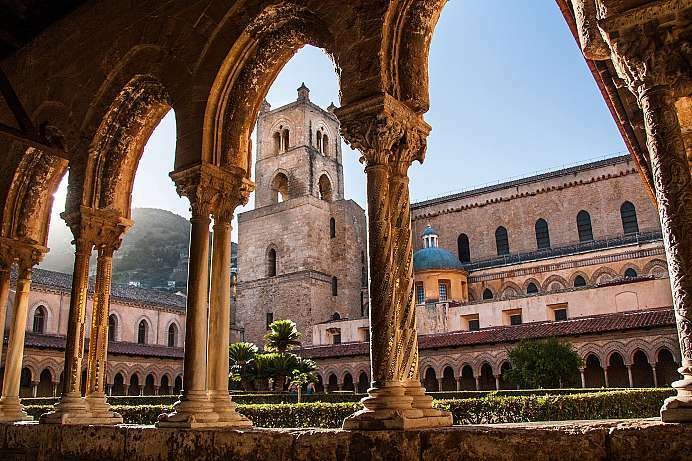 The 30,000-inhabitant city looks down towards Palermo and attracts with superlatives of Norman art. The most famous building is the 12th century Cathedral – a symbiosis of Romanesque, Arabic and Byzantine architecture. While wandering the quiet cloister one can let his thoughts roam through the centuries. In the Middle Ages the area behind the Via Vittorio Emmanuele was a quarter for merchants and craftsmen. After its destruction during WW2, it is now the slum of the city. Many houses are still not renovated; every now and then one collapses. At the same time Albergheria is Palermo's most colorful quarter. Unorthodox building materials have been put to use. Fish, meat and copper gear are offered in a colorful mess on the Ballarò market, where smells, sounds and colors stimulate ones senses.